Personally I do not agree with no.1 - Shampooing of Hair Daily, because for me when I skip 1 day of washing, the next day when I wash my hair it drops more. People with oily scalp is recommended to wash hair daily, if not the oil and dirt from the air (especially if you are physically active, sports, sweat easily) will clog your scalp causing more hair fall. Does this make sense to you? OMG! Thanks for sharing I will share this out too! 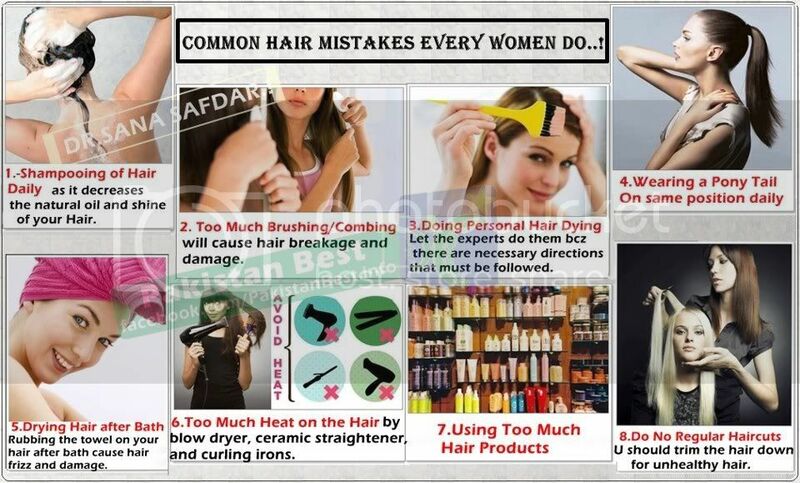 I can't skip a day without washing my hair, in fact I wash everytime I shower :P And I seem to have make most of the mistakes :O no wonder my hair is so damaged T_T But I have to agree with you with #1 though! Did you make this site yourself? Please reply back as I'm looking to create my own personal site and would like to know where you got this from or what the theme is called. Thank you! Hi there, I chose a theme from blogger, and i later manually change the colours of the fonts as well the fonts itself, change the background wallpaper... I forgot the theme... but i think i started with red colour theme and slowly edit after that. they all make quite a lot of sense except No 1. Our hot humid weather and the fact that I do run, its impossible not to wash my hair daily! Gentle towel dry is fine babe. Just don't rub your hair.